Please fill out a custom order form in custom services section WITH DESIRED SPORTS TEAM FABRIC before you CHECK OUT. 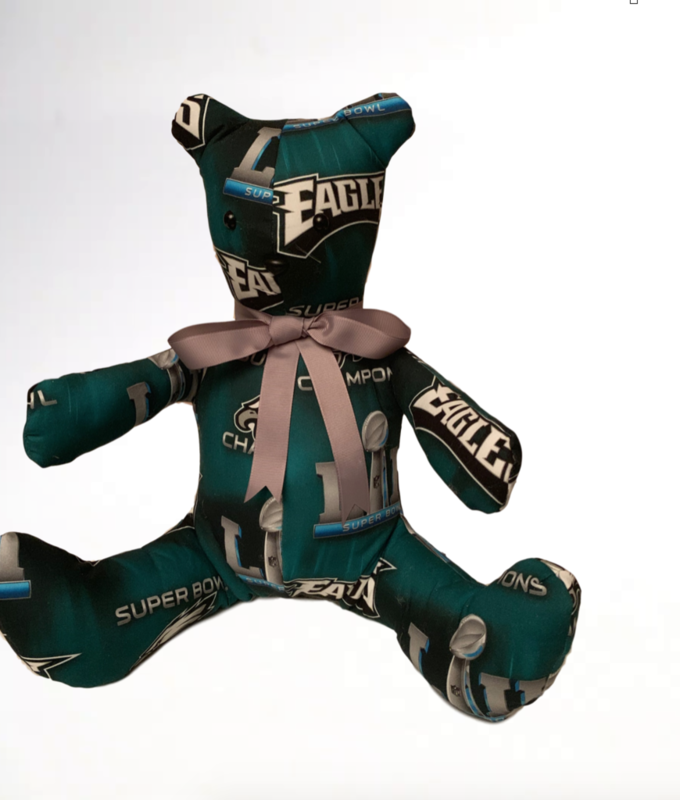 Eagles Super Bowl LII Keepsake Bear is the Perfect gift for an Eagles fan. You can also customize Bears for other sports team fans by filling out a custom form in the custom service section on the home page.